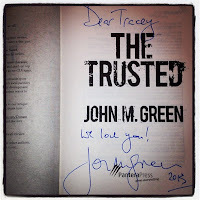 I was lucky enough to attend the Pantera Press book launch of The Trusted in Sydney earlier in the month, and I'm happy to say that this eco-terrorist thriller definitely lives up to the pre-launch hype. 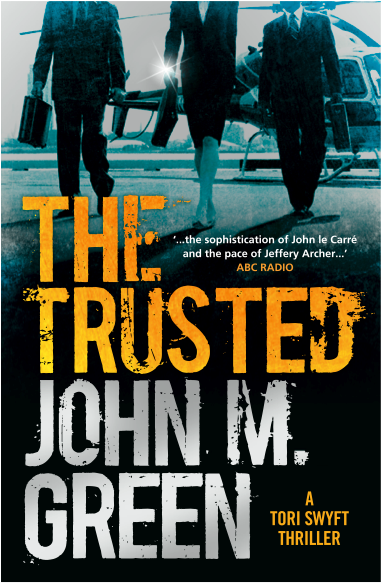 Written by successful Australian author John M. Green (Nowhere Man, Born To Run) The Trusted is a stand-alone novel introducing new character Dr. Tori Swyft. Tori is Australian, a surfer, and child prodigy earning a PhD at a young age, and is now ex-CIA. She ends up being recruited by an Organisation called SIS whose concept will blow your mind. The 'trusted' of the title are members of a group who have climbed the corporate ladders within their own unique fields of industry and specialty, and earned great positions of trust. In an attempt to save the environment and the planet from overpopulation, these radicals will abuse their positions of trust in the most unexpected of ways, causing untold damage to the financial markets, security services, and much more. Reading the plans of some of the members actually gave me chills; what if someone could actually pull this off, it would cause a global crisis! Green has conjured some terrifying scenarios here, that are real and worrying enough to keep you turning the pages into the night to find out if and how it can all be stopped. I found the plot very convincing and not once did I need to suspend belief, which is what sometimes happens when reading a Matthew Reilly of similar scale. Green also employed a clever writing tactic of redacting (blacking out) a few details in the book which made me smile at first (how clever) but then made me frown as I spent way too much time trying to make out the words and beat the author at his own game. This technique definitely added to my enjoyment and is something - as a reader - I don't remember having come across before. Feel free to judge for yourself, and read a free extract from The Trusted. I'm intrigued now! Thanks for sharing ! 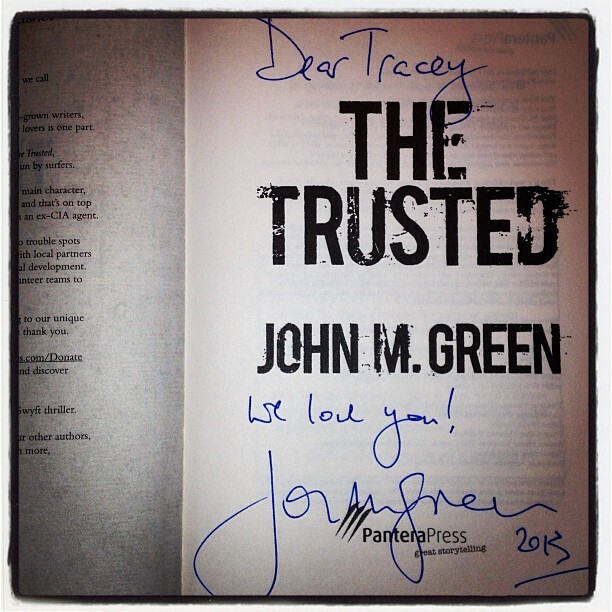 Thanks so much for visiting John! And the next Tori Swyft? Well I'll be looking forward to that one for sure.